Just the Two of Us!!! Where oh where does the time go. This is the last day of January and for my card today, I have used Hal & Hootie from High Hopes Stamps "Live Love Laugh" release. Do come back tomorrow for a brand new release along with a new challenge. Do check out Lora's OCS store for new products and some great prices. 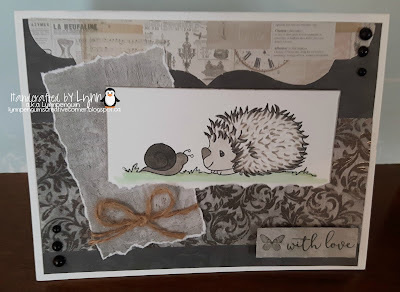 Hello and welcome back, so happy to share my card today for the challenge here at One Crazy Stamper. 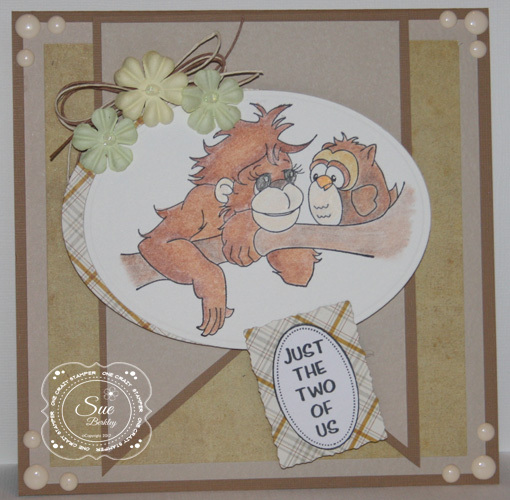 I am using the new release from High Hopes Rubber Stamps, this one is called Kovu and Fred. 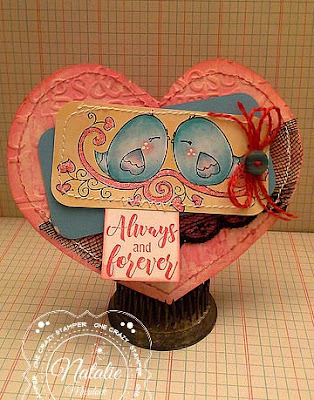 I decided to make it a Valentines card, hope you have some fun and inspiration and enter your creations here at One Crazy Stamper. 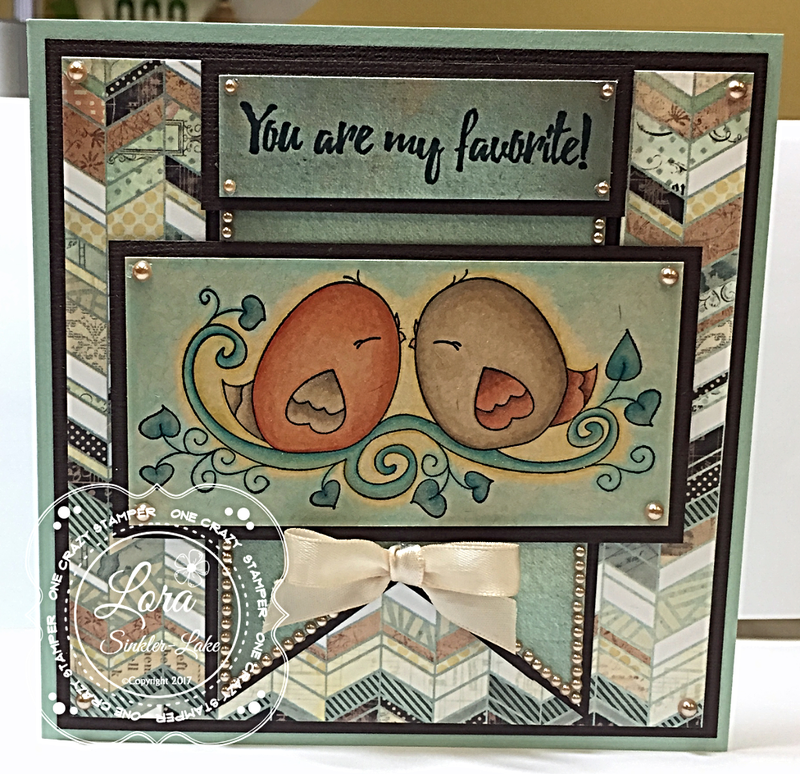 I decided to play up this card with the fun Twisted Pop - Up card, seen this on numerous sites, including You Tube but found the printed version over a Splitcoaststampers in the tutorial section. This was super fun, so if you get a chance try this and many other ones. Makes for fun technique in cards. I added the sentiment on the inside it is also a High Hopes Rubber Stamps-A Hundred Hearts. Thanks again for stopping and remember to stop by Lora's store for supplies including these fun stamps. Till next time hope you get your craft groove on. Cheers! I'm gearing up for Valentines and made this little heart number just for fun! High Hopes Love Birds found here! High Hopes Always and Forever found here! The heart base was hand cut by folding the paper in half and drawing the heart shape. From there sewing stitches were added and I ran the heart through a Valentines embossing folder. The image was was coloured with Copics and also stitched up for some added eye candy. Black lace, Red Twine and some pretty pink Stickles were added. The sentiment was stamped with Tim Holtz Festive Berries. Have a great crafty weekend! 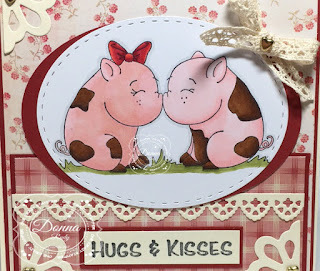 The new release from High Hopes Rubber stamps are so cute. 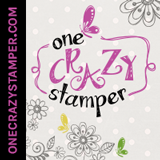 The challenge this month here at One Crazy Stamper is starting and we would like for you to play along and lets have some fun. I'm popping in today to share a quick little card that I made up. 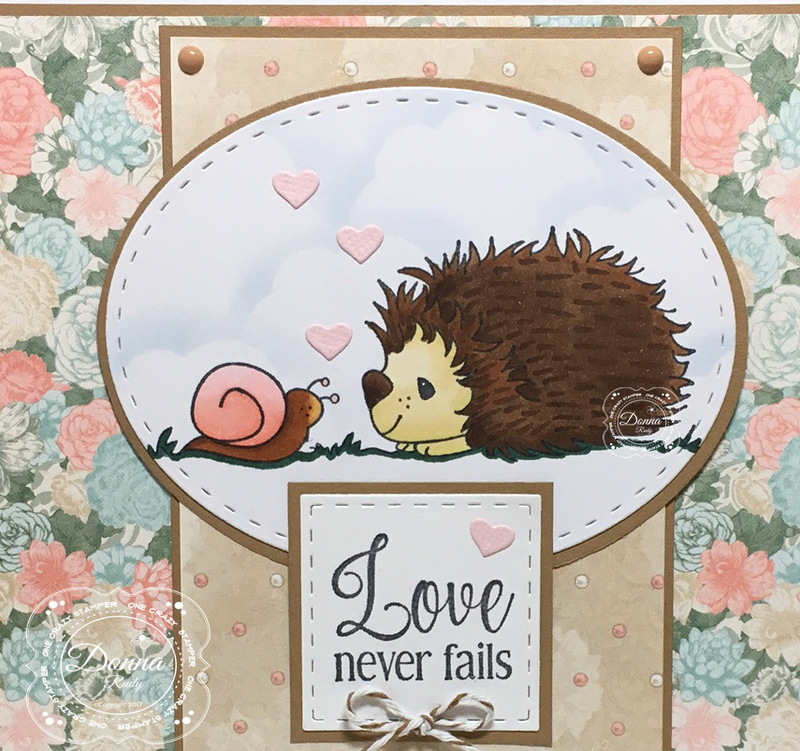 This adorable little image is called Betsy Loves Barney from High Hopes Stamps, perfect for Valentines or Anniversary cards. 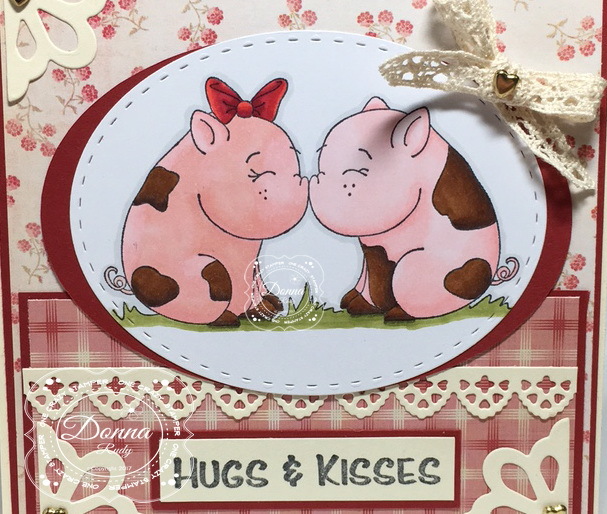 I am happy to have one more card to share this month using a super cute image from the new Live, Love, Laugh release at High Hopes. Sometimes a month isn't enough time to play with all the fun new images in a new release! I coloured my stamp with alcohol markers then cut it out using a stitched oval die. Some pale blue clouds were added using a cloud die cut and some ink. 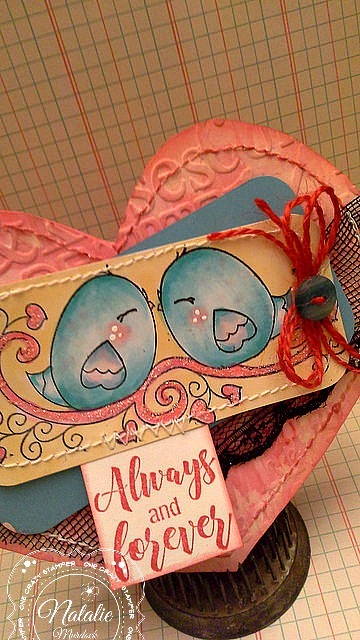 The sentiment was stamped and cut out using a stitched square die. 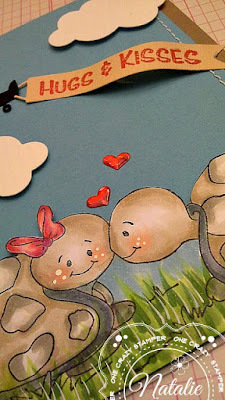 Some pink hearts, twine and my favourite - gumdrops - were added to finish off my card. There is also a sketch for you to use if you would like. We can't wait to see what you create! Welcome back OCS fans. 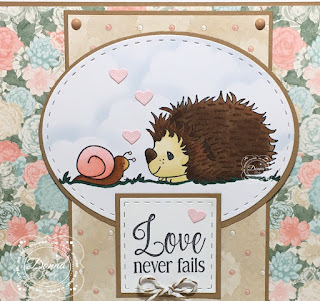 I have used another stamp from this month's new release "Live Love Laugh" from High Hopes Stamps, called Kovu Drops In. With this card I followed the OCS sketch for this month, but used rhinestones instead of flowers. 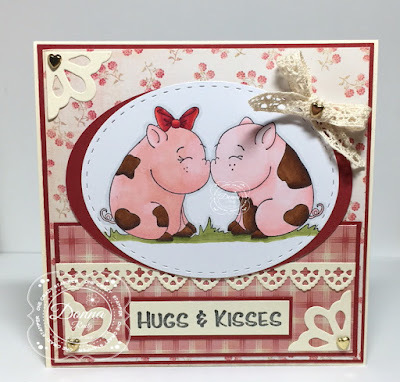 There are still a few more days to enter this month's challenge for a chance to win 2 unmounted High Hopes Stamps of your choice. 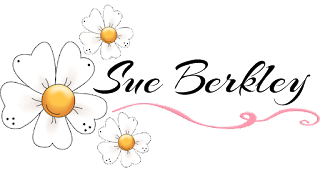 For any supplies that you might need or want, check out Lora's OCS brick & mortar and online stores. Hello friends, welcome back, here is my card for the Challenge that is going on here at One Crazy Stamper. 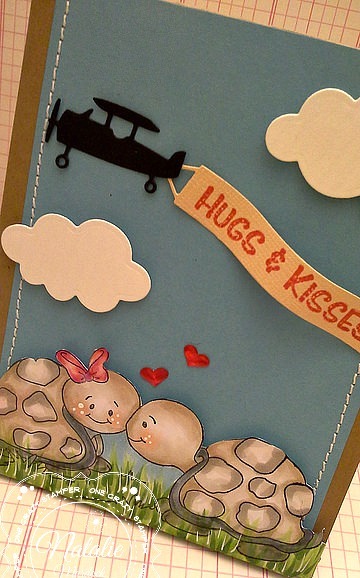 I am using the new fun release from High Hope Rubber Stamps called Love Birds. 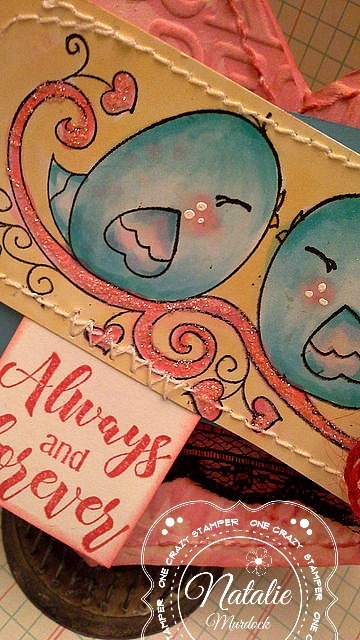 I had fun creating with these love birds and using some bright paper and twine. I also added some wink of stella to give them a little sparkle. Another fun thing for the challenge is to use the sketch that is optional for you to use, and I turned it for my card. 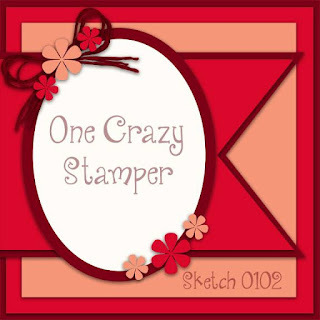 Thanks for stopping and remember to play along with us here at One Crazy Stamper and stop by Lora's store for supplies. Supplies: HH Stamps-Love Birds, Always and Forever, Wink of Stella, Twine, Gems, Memento Black Ink, Copic Markers, Doodlebug Paper. Hi there! I'm back on another happy Friday to share my card. With a little turtle love!!! 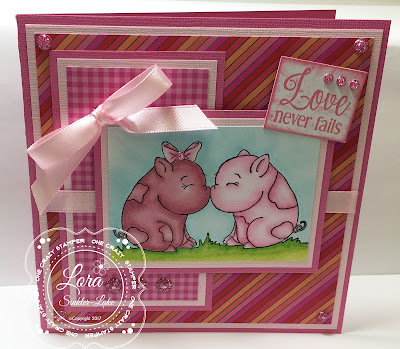 Today's creation is made with some awesome High Hopes stamps. Leo meets Lana found here! The image was stamped with Memento Ink on Copic Paper. 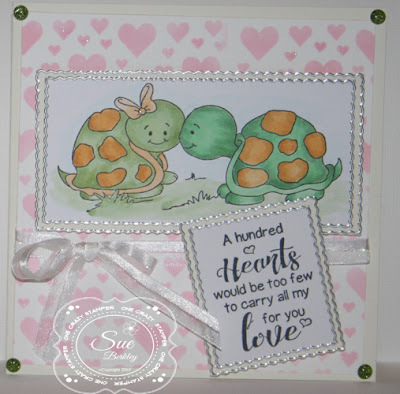 I fussy cut around the top of the image, Coloured these little cuties with Copics and added pop dots to the turtles for added dimension. 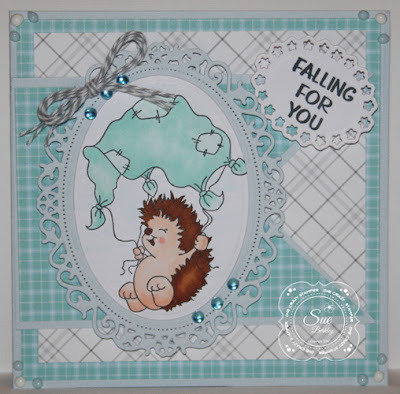 Some straight stitches, clouds and a hugs & kisses banner for the background details. Hope your weekend is awesome and crafty too! Today I'm sharing an adorable new image from High Hopes Rubber Stamps called Love Birds. I wanted to do a little something that looked different so I colored this pair of little birds up on Kraft cardstock. I used Copic's of course but I added a bunch of shading with my Prisma pencils as well. 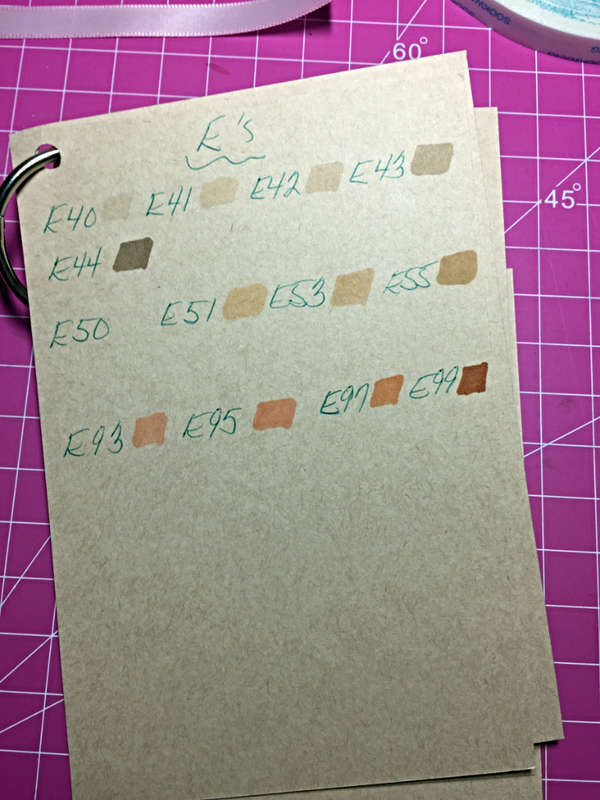 This is the 2nd card I have done on Kraft and I have found that when using my Copics it is best to test the color first. 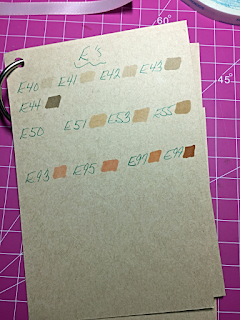 Some colors dry darker some much lighter than you might think. So I started to create my own little index card system. I will add to this each time I want to play with a new color combo. I am using American Craft cardstock and that is what my index cards are made from. Each brand of cardstock will react differently to the marker so it is a great idea to find a brand you like and work with that. This is my index system, at least for now. You can't tell from the picture but I did add a bunch of sparkle to the scroll and leaves with Clear Wink of Stella. If you are looking to grab this adorable image you can find it HERE at OCS or HERE at High Hopes. I hope you are enjoying the design teams incredible makes with the new Live Love Laugh release from High Hopes! This week I got to play with "Betsy Loves Barney". I had a friend that grew up on a pig farm and we used to have to do the chores every day, twice a day.... and every once and awhile we had to clean out the pens. Sorry, but I don't remember seeing any pigs in real life that are this cute!!! I coloured my stamp with alcohol markers then cut it out using a stitched oval die. The background oval was cut out with my Cricut......I wasn't going to use it at first because technically it didn't fit properly. But, I kind of like the look of having some colour peaking out on the ends only for something different so I decided to use it. 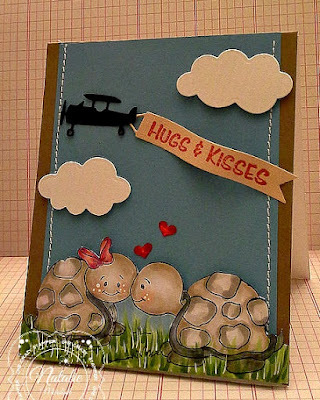 I added my image to patterned paper from Cosmo Cricket and MME. 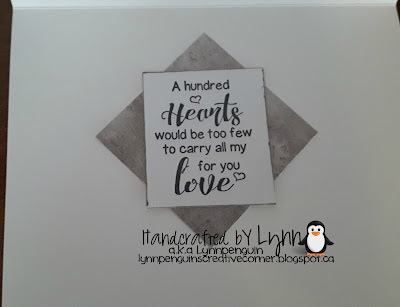 The sentiment was stamped on some matching cardstock and cut to size. Some corner dies, ribbon and gold heart brads finish off my card. Another week has been and gone, and January is now half over. Time does go by quickly. For my post today, I have used another adorable image from the High Hopes "Live Love Laugh" release called "Leo Meets Lana". For this card, I didn't follow the sketch at all. I used the Lots of Love stickable stencil from BoBunny. I inked the stencil with Angel Pink from Tsukineko Memento Dew Drop. Do play along with this month's Live Love Laugh challenge. We would love to see what you create. For any supplies that you might need or want, check out Lora's One Crazy Stamper store and the High Hopes Stamps website. 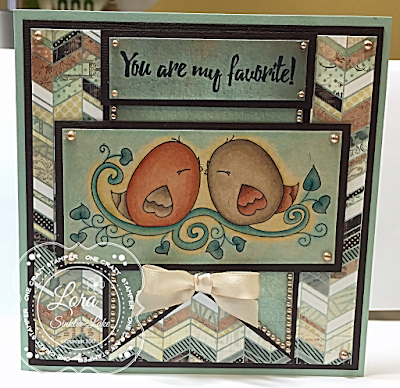 Hello and Welcome back, my turn again to showcase the card for the challenge here at One Crazy Stamper. 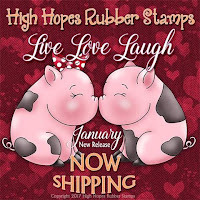 High Hopes Rubber stamps new release called Live Love Laugh. I added, a button, twine and some gems used my oval stitched dies. I used the sketch that is an option for our challenge. 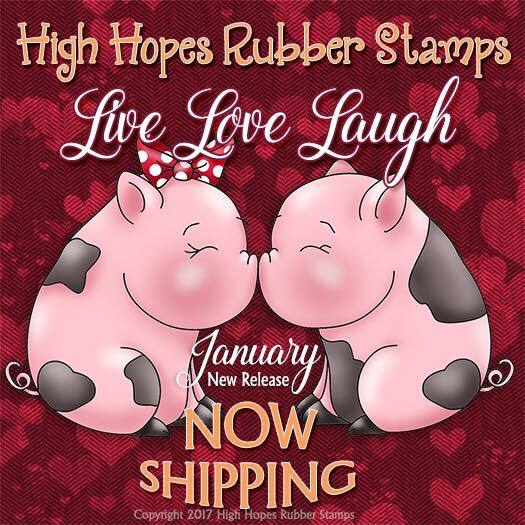 I hope you can play the challenge, check out Lora's store for supplies as well as this new High Hopes Rubber Stamps release. Till next time hope you can get into your craft room. Cheers! 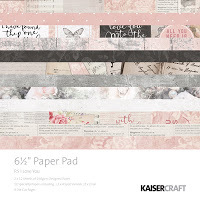 Pattern Paper-Photo Play, Copic Markers, Glue Dots. 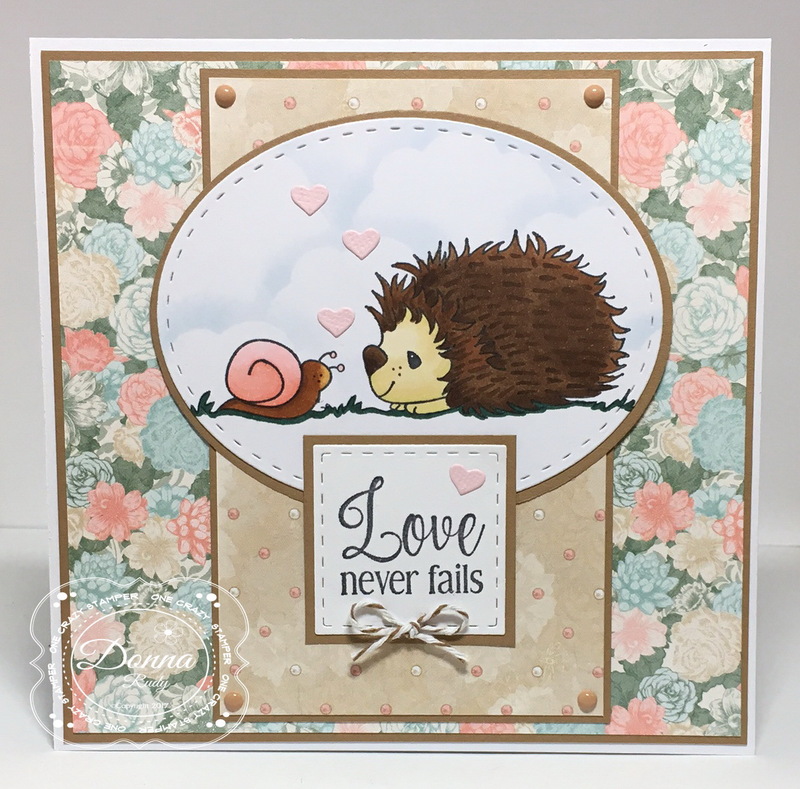 Lynn Haines, our Guest Designer for this month is back with another card from this month's HH Release called Live Love and Laugh. More details can be found on her blog. I coloured with copics and added some prickly texture to the hedgehog. with my colours on this card. I hope you like what I created. to see all the other creations in this lovely new release. Love you more! High Hopes Stamps!